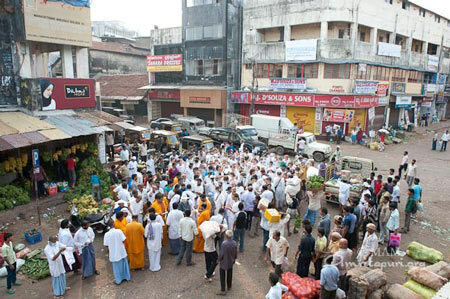 The Karnataka Government has given its approval to rebuild the Central Market in Mangaluru’s Hampankatta area under the Central Government’s ‘Smart Cities Mission’. To be reconstructed at an estimated cost of Rs 145 crore under the public-private partnership, the Mangaluru City Corporation has already prepard a detailed project report of the proposal, said Mohammed Nazir, Commissioner, Mangaluru City Corporation. The corporation will soon invite the bids for the project that includes constructing a sewage treatment plant, a cold storage facility, a bio-digester and roof-top solar panels. Smart parking spaces for cars and two-wheelers and construction of vegetable, fruit and meat shops within the same complex is also part of the project that covers an area of 3.6 acres. To build a multi-level car parking at Hampankatta, a bid has already been received and th corporation is evaluating it. This projct will also be taken up under the PPP mode and would entail an estimated cost of Rs 94 crore.